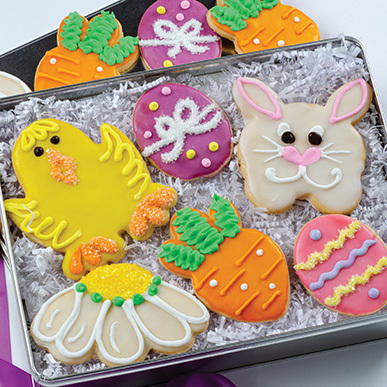 Easter Shortbreads Place your order early because these cookies sell out every year! And for good reason. Excellent shortbread requires superior ingredients and technique. We use only fresh sweet creamy butter and real vanilla. And each batch is rolled and cut by hand to insure tenderness. Because we really do the baking, these cookies will be freshly baked and packed in a gift tin at your requested delivery time. 20 cookies (1lb. 2ozs.